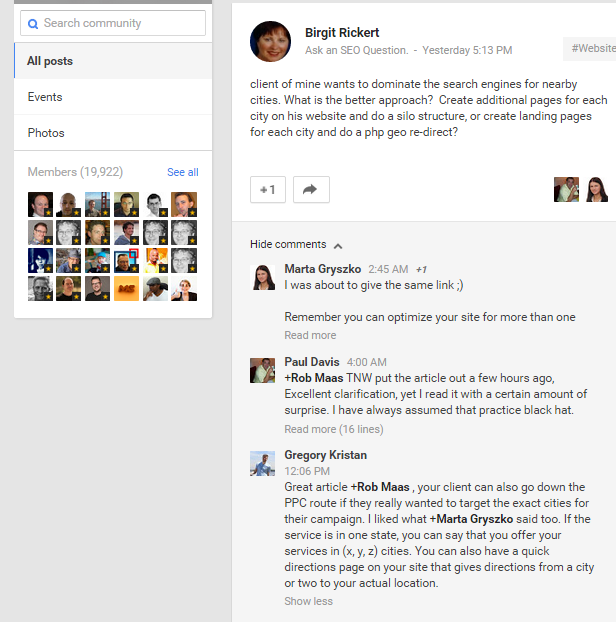 I came across this question on Google + today and I decided to write a blog post about the topic. It is really no surprise, but I worked on a local website for about 1.5 years. You can absolutely target specific cities in your local SEO campaign. 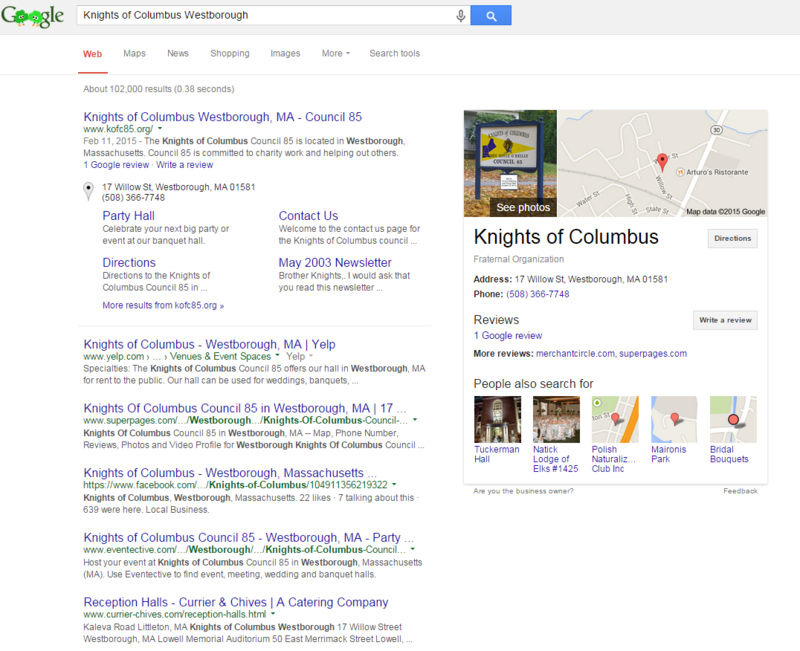 If you are looking for help, I offer Boston SEO services. This was a great question by Birgit. She wanted to find a way to target multiple cities and dominate the search results by doing that. According to Google, you can’t create doorway pages to achieve this. You can click here to read more about doorway pages in Google. I started to read the comments and everyone was spot on with their response. I was happy to read that as you will find a lot of shady answers from some people on these sites. I chose to give two answers with my response. The first was the PPC route. I think targeting selected cities in a PPC campaign is much easier and can return some great and quick results to your campaign. The second part of my answer is what I want to give insight on in this blog. I would like to share some insight into my Geo targeted website that I worked on. 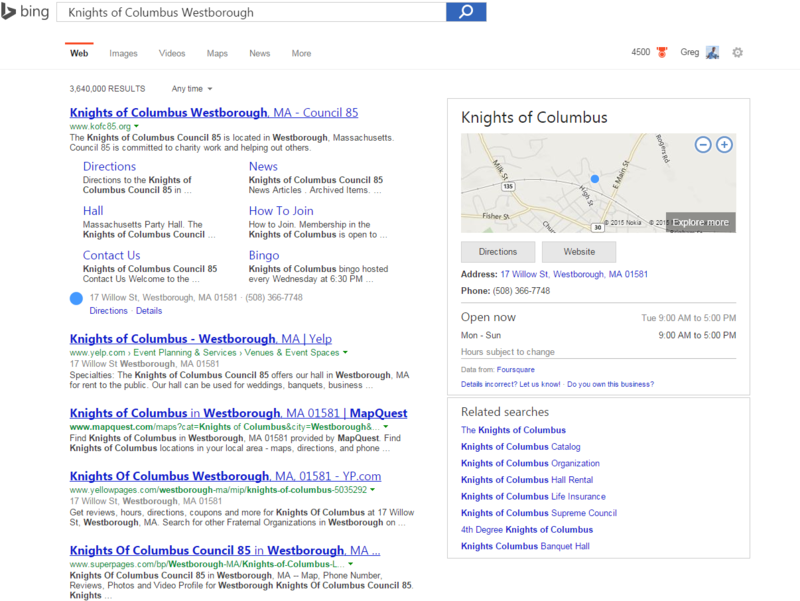 Here is what happens when you search for that name (Knights of Columbus Westborough) in Bing. I took a larger snapshot of this result to show off a few things. First, I have the map on the right side of the image. The address is correct, the hours are correct, and the name is correct. The top result is my site and the bottom results are all places that I listed the Knights on. This is important for local optimization since you want to have consistent information all over the web. To save time in this blog, I would recommend checking out Moz Local to verify your locations on these pages. What is great is that I have lots of real estate all over Bing and Google when a branded search happens. I just wanted to mention some of the referral sites that the Knights are listed on. Not only do they pass SEO power (with links), but they also bring in conversions. About 25% of my overall direct conversions actually come from these referral websites. When you verify your listings online, you can expect there to be a few weeks to even a few months of lag for Google and Bing bot to crawl and index these results. However, I can truly say that 25% of the business that we have generated came from those efforts. Here are two of the main pages on the site that I worked on. First is simply the main page. This is the main converting page on the website. There are pictures, there is a video, and there is the form to fill out on the right hand side. Since I really wanted to focus on local, I decided to list some locations on the page. Take a look at the red mark up that I did. As is SEO, I put some Geo location into the title tag for this page as well. The second image is the directions page of this site. As above, I marked up a few of the Geo location tabs for this page. Also, I included Google maps to continue to verify my location. What is so interesting about all this. Did any of those cities or states even bring in traffic and conversions? Here is a quick glance at the top 5 states that brought in conversions. As a note, I just took the totals from all 5 states just to show how dominate MA was with conversions. If you scroll further down, you will see that MA brought in more then 85% of total conversions to the site. Here is a snapshot of the overall traffic across the United States for this site. You will notice that MA has the darkest area which represents my traffic. Also, I like how I never have had a visit from Wyoming. Even Alaska and Hawaii checked out the site at least once! Here, I have a snapshot of the overall traffic just in Massachusetts for this site. The darker the circle, the more visits. 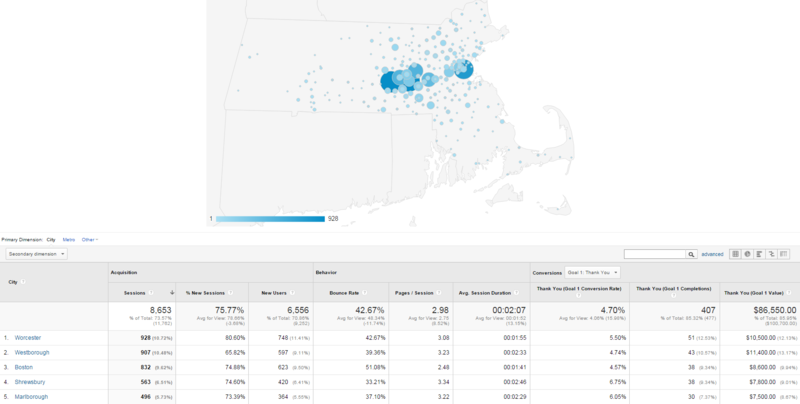 The top five locations in MA that I get traffic from are Worcester, Westborough, Boston, Shrewsbury, and Marlborough. Providence was also the top city in Rhode Island, but we are just looking at MA. As a note, I did not put up a value for these locations until a bit later in Google Analytics. According to Google Analytics, I technically could add an additional 11 more conversions from Westborough, but I just wanted to keep this blog at a basic level. Here is a breakdown by city. Based on this data, I know that 85.32% of my total conversions (447) came from Massachusetts cities. I also know that about 73% of my entire lifetime traffic came from Massachusetts cities too. Pretty good for a MA local campaign. To Recap, I did what again? So was it all just a coincidence that I got most of my traffic from those cities? The answer is absolutely no. I purposely mentioned those cities for a few reasons on my site. 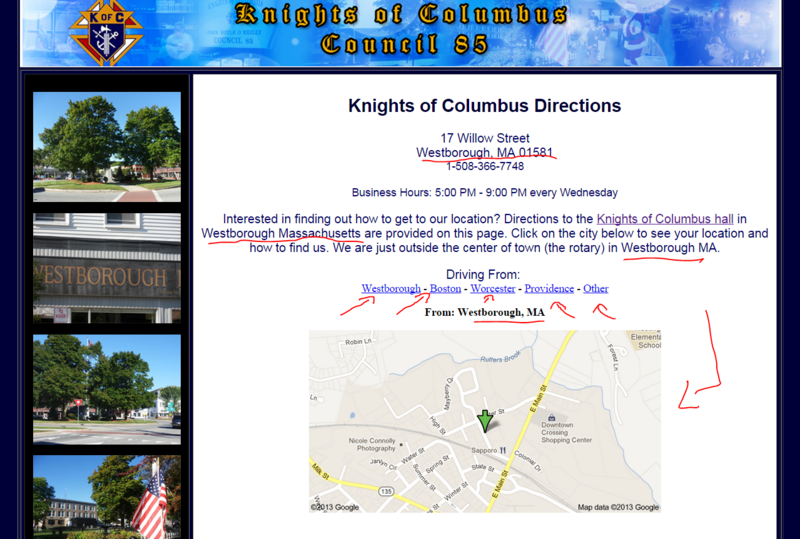 First, they are close to the hall’s location in Westborough, MA. Second, they have a large or larger population than Westborough. 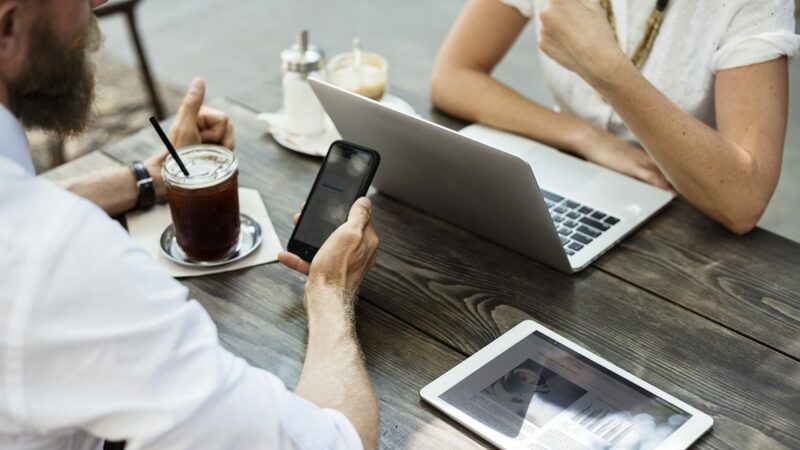 By targeting these selected cities, I knew I could get more qualified leads (since they were close in location) and had the most amount of individuals who would be searching in those areas. In conclusion, I did not create separate pages to target different cities like Worcester, Boston, Marlborough, etc. 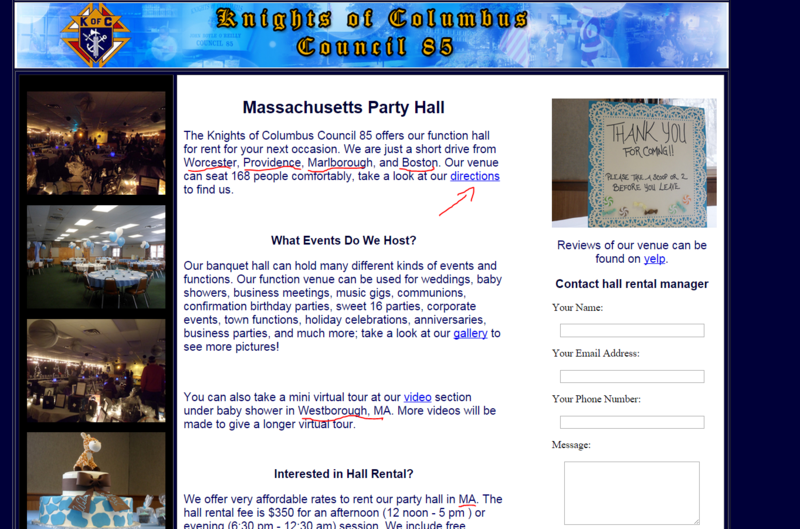 I decided instead to create one main page (the hall) and mention that the facility was near those particular locations. The next thing I did was create a directions page on the site that listed driving steps to get to the the location from other major cities. The third thing that I did was use Moz Local to properly list my location in places like MapQuest, Yellow Pages, Yelp, and more. The fourth thing that I did was put a Geo location mention in the title tag. I also marked up a few of my images using an ALT tag to specify that this was a particular location for Google and Bing.